Cushion tire ATF propane forklift - Lanz Mechanical Ltd. 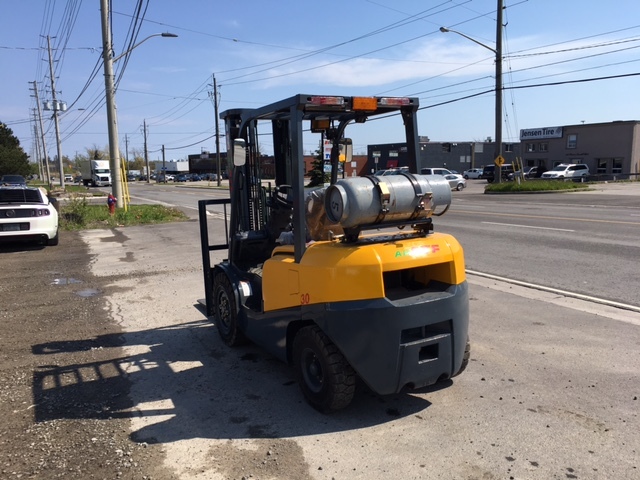 Description NEW ATF 8000lb dual-drive diesel forklift. 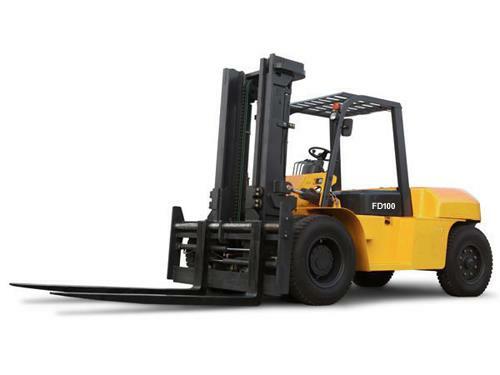 We are now stocking this premium quality forklift. This Particular machine is equipped with an Isuzu 4JG2 diesel motor, and original TCM technology HD transmission, drive axle and steering assembly. Solid-pneumatic tires are mounted on the dual-drive wheels. You can order this forklift in just about any configuration you may dream up. It can come without a cab, air tires, and you can have it with a 2 stage lumber mast, or any other size mast you want. It is also available with a PSI 4.3 (tier 4) engine, if you are using it inside an enclosed warehouse. Just send a message with the specifications you want, and we will be pleased to supply a quote, and an approximate delivery date. When you eventually require service and spare parts, most (if not all) after market parts suppliers stock them. The TCM original parts will fit these machines. It is available in a propane only or dual-fuel version as well. These forklifts are equipped with LED lighting and safety strobe lamp. They also have a back-up camera * factory mounted in the cab, so you can now see those blind spots just like on most new cars and road trucks.